Gionee is going to hold a conference in Shenzhen on the 26th of this months. 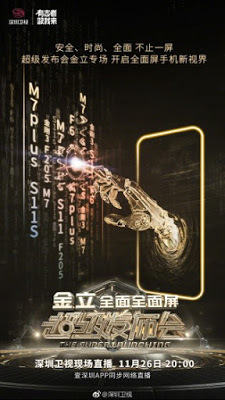 The conference is going to feature the announcement of several devices which are alleged to be bezel-less. 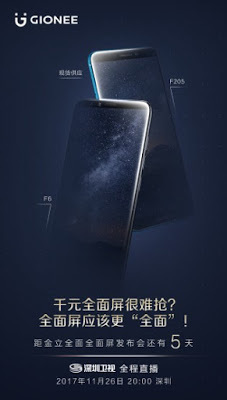 A teaser photo surfaced on weibo which literally did not give any clue on the device specification except the fact that you can say that the Gionee F205 according to photos is likely to have a 5-inch screen, a MediaTek MT6739 chipset with a quad-core CPU and 2GB of RAM, 16GB of on-board storage, 8MP/5MP back and front cameras and powered by Android 7.1.1 Nougat.